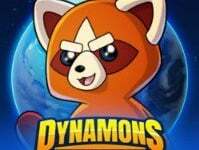 Dynamons is an online Pokemon game that you can play in your browser for free at KBH Games Online. Dynamons is one of our featured games with a rating of 8.8 / 10 (from 1689 ratings). This game is one of the many Rpg Pokemon games that we feature. In the mood for more like this, then check out Monster Ball or Dynamons World. To play more kbh games, make sure to go on over to our all time best games page.